Harmoni Resto was recommended by our friend Alisa Haqiqi, and I agree that Harmoni Resto in Malang is a great place to have dinner or lunch; yummy food, affordable price and it has a very nice atmosphere. 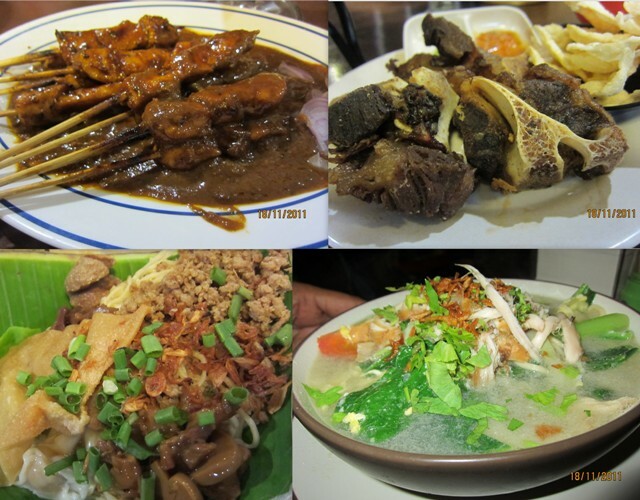 We ordered their Cwi Mie Malang, Chicken Satay, Sop Buntut Goreng and their Mie Godok Jawa. We sat at the back side of the resto which has a pond in the middle. If you take your kids here, they will be busy with the fish pond. This resto located in the heart of the city, Jl. 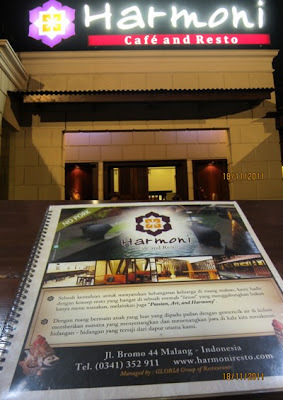 Bromo, so it's easy to find the Harmoni Resto. Give it a try, you will not be disappointed.